Let me begin this article by saying I love all martial arts. And if you enjoy practicing karate, taekwondo, tai chi, or wushu, by all means. Keep doing it. Also, while I practice fighting arts, if I had children, I would start them on wrestling and either taekwondo or karate before ever letting them lace up a glove. This article is not meant as an indictment of traditional martial art. Instead, it is meant as a response to a common theme of discussion which is; how would this or that art fair in MMA? On internet forums traditional martial artist sometimes complain that their martial art would be effective in mixed martial arts competition if they were not restricted by the rules. Under unified MMA rules there is a prohibition against such techniques as eye gouges, tiger claws, eagle talons, spear hands, biting, and groin kicks. In early UFC there were no rules, apart from no eye-gouging and no biting, and yet most of the above techniques were never employed. Groin strikes were allowed, but famously, only a single fighter, Keith Hackney, utilized groin strikes. If you watch hundreds of street fight videos, you will find that men bite and groin kick very infrequently, even when there are no rules. If you visit traditional martial arts gyms you will find that in their own style, both in their sparring and their competitions, they generally ban the same set of techniques. So, if they are able to fight each other without these techniques, why do they feel they would be at a disadvantage fighting against MMA fighters without these techniques. Also, if they are not actually sparring these techniques, how effectively would they expect to use them in an MMA fight? The ban on spear hands and eagle claws and other techniques is only half the story. The other half of the story is that MMA allows knees, elbows, take downs, submissions, leg kicks, and ground and pound, as well as repeated strikes and combinations… and on and on, most of which is banned from the majority of TMA sparring and competition. Often TMA point fighting arts allow kicks but not combinations. The referee separates the fighters after a single strike and awards a point. Many forms of TMA don’t allow punches to the face. Most don’t allow holding and hitting. Most forms of TMA do not allow kicks to the legs. Most don’t allow takedowns. And with the exception of judo and jujitsu, most do not do ground fighting. When it comes to ground and pound, MMA is pretty much the only art where it is allowed. So, basically, people who lack 70% of the allowable techniques are complaining that they can’t win MMA fights because of the lack of techniques which they also don’t do in sparring or competition. Banned techniques aside, the question remains, how effective karate or wu shu would be in MMA. My theory on karate in MMA is this: If your father is a grand master and you grow up doing karate every waking minute from the time you can walk until the first time you start doing MMA, and you are at the absolute highest level of karate, like Lyotto Machida and Stephen Wonderboy Thompson, it can be a huge advantage. But for any normal person to go out and start training karate to add it to their MMA game is a waste of time. To be clear, karate is not a waste of time. My point is that time spent attempting to learn karate specifically for MMA would be better spent improving your boxing, muay Thai, jujitsu, or wrestling. Regarding Wushu in MMA: At Shanghai University of Sport, where I studied, all of the best sanda fighters told me that as children they lived either in the Shaolin Temple or in a wu xiao (kung fu academy) and that for the first two years, they did wushu forms. After that, they switched to sanda. The logic in this is that the wushu forms gave them the flexibility, the high kicks, and balance necessary to be good in sanda. At the sports university we had other sanda fighters who had grown up in Shaolin or wu xiao who were not very good fighters, in fact in some cases they were terrible. And most of these were ones who had more, say five years, of wushu before switching to sanda. Therefore, it appears that doing too much wushu detracted from their fighting ability. Most likely this is because, A. the mentality of wushu performance is very different from fighting. And B. Because they lacked the experience. Those who left wu shsu after two years had more years of sanda than those who remained in wu shu longer. Having said all of this, I think it would be a waste of time for an adult or even a teenager to go learn wushu in order to improve their MMA. 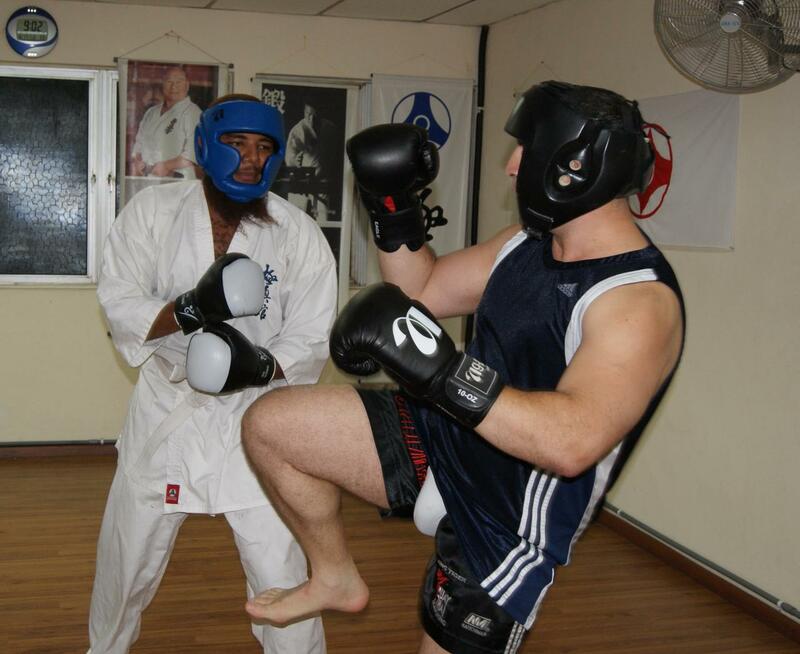 Imagine living six months in a sanda academy in China, or Tiger Muay Thai in Thailand, or a Jujitsu school in Brazil. Think of how much that would add improve your fighting ability, whereas six months of wushu is a drop in the ocean. It takes years and years to learn, and it really must be learned before puberty. Antonio Graceffo PhD China-MBA, works as an economics researcher and university professor in China. He holds a PhD from Shanghai University of Sport Wushu Department where he wrote his dissertation “A Cross Cultural Comparison of Chinese and Western Wrestling” in Chinese. He is the author of 12 books, including The Warrior’s Dissertation, Warrior Odyssey and The Monk from Brooklyn.